Vacation pending and I need a break, so I am taking a few weeks off. See you again the middle of July. The same is true of mechanics. Have you ever gone into a mechanic’s shop? They will have against some wall or other a GINORMOUS toolbox. I mean these suckers are HUGE! They’re as tall as me, span my arm’s length, and have more drawers than most little girls could ever use for clothes. And a mechanic’s collection of tools takes literally years to build. They certainly don’t go out and buy that many tools in one fell swoop. So our priest’s sermon on Sunday was quite interesting. He talked about tools–not carpenter tools or mechanic tools–but spiritual tools. I was fascinated. I had never really thought about it quite that way. See, I’ve been collecting tools now for some time, I just didn’t realize it. I talked recently with a woman who was really struggling. She was a good Christian, went to church, kept her family together, but oh, was she parched! It sounded like she hadn’t had a good drink of God’s love in… well, a very long time. I could relate. It wasn’t so very long ago that I was that parched as well. Of course, I had gone to church every Sunday since I was born, but that was pretty much my only “tool,” and it showed. My husband, as I said, is a carpenter. That means he has a specific kind of tools. He has a hammer and a screwdriver and a screwgun. But some years ago, my car broke down. He decided that rather than spend the money to get it fixed by a mechanic, he would do it. (Now, I don’t recommend this.) So he got out his tools. He got out his hammer and his screwdriver… I kid you not, this really happened. Fixing a car? Well, he HAD tools, didn’t he? After the first five minutes, I vacated the premises because fixing a car with a hammer is… well… I’ll let you fill in the blanks. But that’s kind of what I tried to do with going to church. I had one or two tools, and I tried to use them for every situation. In short, that won’t work. You don’t need one or two tools in your spiritual toolbox. You need to become a collector of tools for your spiritual toolbox because each tool does something different, and to do a God task right, you often need a variety of tools. For example, you may be great at patience, but what if action is called for? You may be a master at faith, but if you have not love… Oh, yeah. You’ve heard that one. God’s work is not about having one or two tools that you try to tackle every job. It’s about collecting a range of tools, so you have the right one handy when you need it. I collect spiritual tools like some young boys collect baseball cards. I collect these tools from many sources–books, retreats, church, the Bible, songs, people, situations, secular books and music (carefully chosen), prayer, my relationship with God, teaching Sunday School, doing plays for VBS… I don’t rely on ONE tool, I seek to collect them all. From these, I have collected tools like faith, hope, love, mercy, kindness, peace, joy, patience, wisdom, awe, understanding, gentleness, compassion, etc. It’s interesting to me how the pieces from one activity fit so perfectly with another. Because of the VBS plays, I’ve gotten to see Jesus walk on water and calm the sea, I’ve seen a leper, a blind man, and a paralytic healed. I’ve witnessed the kings’ journey to find Christ, Peter and the apostles on Pentecost, and the Israelites trek through the desert. I’ve seen Paul escape Demascus and travel all over teaching about Jesus. I’ve seen Jesus call Zaccheus from the tree and give the woman at the well living water. From Sunday School, I’ve seen the importance of bringing every brick life hands us to the cross, how walking through life blind doesn’t work, and how the grace of God broke through the wall that kept us from the Tree of Life. 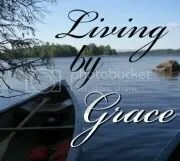 Through music, I’ve learned the importance of this day, this moment, how with “justice no longer in place, mercy came running,” how amazing grace really is. From my friends I’ve learned how hard patience can be, how joyful it is to live in the Spirit, and how God will let something that’s not serving us fall away so something better can get in. All of these tools and many, many, MANY more have gone into my toolbox, and now when I go to church, there is a context to put the stories I hear. The tools I’ve been gathering come alive. I learn to use those tools in ways I hadn’t thought of before. So my question for you today is this: Do you collect spiritual tools? Or do you just go to church and call it good? I have never endorsed a book in this blog since I started writing it slightly more than a year ago. However, I am about to change that practice. As a writer myself, the support and encouragement from peers is not only appreciated, but sometimes just the push you need to keep going when you begin to wonder why you keep doing this. Believe me, for most of us it’s not the money. Well it is in a way, but it’s more like how much is this going to cost me this time, as opposed to how much will I make from this. “Surviving Tough Times,” by Lynn Zuk-Lloyd is a relatively short book written and illustrated by an incredibly gifted and sprit filled woman from the greater Chicago area. It is published by PromiseGarden.com and can be purchased from www.promisegarden.com. Purchase it; the book is a treasure of the simple Bible truths that get us all through the tough times in life. The most difficult part about describing the book is telling someone exactly what it is. Is it a devotional book with creative and fascinating artwork surrounded by scripture verses that we can ponder each day? Or is it an impassioned devotional book that is supported by clever print lay out and artwork that makes the printed material poetry of the highest caliber. My answer would be, “Yes.” It’s both and more. If all you did was read one or two pages each day and meditate on them, you would find that the simple direct and unapologetic messages of the power of the resurrected Lord Jesus Christ would make your day better. I offer this warning, however, once you start reading it you will be sucked in and want to read another page, and then another until you finish. The good news is that it reads and inspires just as well the second time through. There are other portions to this page and I can’t do the lay out justice in this blog, but just those two sections alone say so much to me. As I said in a recent blog, I tend to talk too much and listen too little, especially to God. Stopping to be still enough to feel his presence is something that can make any day better. Through a juxtaposition of personal thoughts, scripture and comments from other fellow Christians Lynn has created a book that should be kept wherever you take time to reconnect to the source of all our power. It works as a quick reminder of things we tend to forget or as a short book that can take a long time to digest the deep truth it offers. Don’t be fooled by its outward simplicity. When you stop, make yourself and listen to what it says you can feel the presence of the living God. It’s that good. One of my favorite parts of our church service actually happens before the service begins. After the pastor and the lay leader enter the sanctuary through the center door in the back, the organist begins the Prelude which is supposed to signify that it’s time to quiet down and prepare for the service itself. Presbyterians have a rather annoying habit of treating the sanctuary like an American Legion dance floor. They talk using outside voices, laugh and carry on as if somebody just called out B 7 or O 69. I actually think I’ve heard several people shout out BINGO on occasion. That might be understandable in the church across the street on Bingo night during the week, but never before Mass on a Sunday morning. Once the Prelude starts two of the younger members of the church family bring brass candle lighters down the center aisle and light the candles on the alter in the front of the church. Various denominations call these candle lighters by different names. Presbyterians being the creative sect that they are call them… Candle Lighters. Regardless of what you call them, they take their role in the service very seriously for the most part, and usually even the chattiest person stops talking when they see the children carry their candle lighters to the front of the church. It’s kind of an unwritten rule. It’s the excitement of the Candle Lighters that impresses me the most. They all want to do it and get incredibly serious when it’s their turn to light the candles. We have a young man in our congregation that is confined to a wheel chair. His face beams when he drives his motor driven chair to the front of the church. If you ever want to see the face of an angel, I’ll give you directions to our little church so you can watch. It is truly inspiring and it is guaranteed to bring a tear to your eye. This young man surely knows about the joy of the Lord and his sermon that lasts no more than the 30 second ride down the aisle would make even the best evangelist feel inadequate. Two Sundays ago when the children walked down the aisle to light the candles, both of the Candle Lighter’s wicks went out just as the children were about to light the candles in front. Some quick thinking by one of the mothers minimized the situation as she ran to the back of the church and brought the butane lighter up to the front to relight the wicks. She could have just used the lighter to light the altar candles themselves, but she didn’t. She lit the children’s brass lighters and stood there until they finished lighting the altar candles, and the children seemed pleased. I couldn’t help thinking about the simple lessen that the Holy Spirit had just demonstrated to all of us watching. Too soon the joy and the excitement of carrying the light for the worship service flickers and goes out for children. As adults we can laugh or relight the candles with our own light so we can get through the service as quickly as possible and get to the rest of the day. Or…we can do what this mother did: keep the children’s light going even if we have to run to the back of the church, and let the children bring in the light so hopefully they never lose it. It’s up to us. Will we encourage the children to bring in the light and receive the blessing of being able to watch their joy, or will we pat them on the head and push them aside so we can get on with more important things that really don’t mean a thing? I hope we let them bring in the light and try to recapture the joy we had when we were that age. For a moment, let’s go back to those two trees, the ones in the garden. After Adam and Eve sinned, a wall was placed between them and the Tree of Life so they could never go back to simply relying on God; they were now forced to figure out how to do it on their own. Likewise, in the Temple in Jesus’ time, there was a large curtain between the people and the Holy of Holies, where God was. The two symbols mean the same thing. There was separation between God and His people. More literally, there was a separation between God and each of His people. There was no decision for anyone anymore. The wall was in place, and nothing they could do could ever breach it to get back to God. Their only option was to rely on their own knowledge, understanding, and behavior to try to earn Heaven, which was impossible before they ever started. When Jesus died on the cross (a perfectly matched symbol with the tree), God’s judgment and wrath and justice were poured out not upon each of us for our sin, but upon Christ. God’s justice must be satisfied, otherwise it wouldn’t be perfect justice, it would be conditional justice, conditioned upon how much God likes you or how much money you have or what you could do for Him. If He meted out justice to one and not to the other, it would not be perfect justice. It would not be fair. Along with perfect justice in God’s heart, there is also perfect mercy. He wants to be compassionate with each of us, but how could He do that with justice standing in the way? The way He found was through Jesus. He poured out His wrath and His justice on His Son. That took care of the requirements of justice. And “with justice no longer in the way, mercy came running.” Mercy was unleashed to love and heal and forgive each one of us! That’s not just Good News… that’s GREAT news! It’s been said that mercy is when we don’t get what we do deserve. We deserved death, but when justice was satisfied by Christ dying for us on the cross, God could then send His mercy by saving us from what we deserved—death. But there’s a catch that all of this hinges upon, and that is: Do you accept what Christ did for you on the cross? Do you REALLY? I realize there are some who believe that you can profess that you accept what Christ did and that is enough. And to some extent that is true. Professing that you have accepted Christ as your personal savior is a start and that much will get you out of death and into Heaven, but it is hardly the end. Sadly, some take this so far as to say that once you have accepted Christ as your personal savior, once you have professed that you believe that, you can then go off and do whatever you wish—even killing someone will no longer bring punishment of eternal death from God. Which is true, but hardly the point. Christ didn’t die on that cross to give us a pass to do whatever we wanted. Hardly! He suffered and died so that the earthquake came, and the curtain in the Temple was torn in two, the wall keeping us from the Tree of Life came down. He came that we might have the choice once again to eat from the Tree of Life! Unfortunately, wow. Do we get this wrong. So many of us do not realize that the other tree was not called the Tree of the Knowledge of Evil. Or even the Tree of Doing of Evil. It was called the Tree of the Knowledge of GOOD and Evil. That means, we could be doing good and still getting it wrong. That means we can be saved but living as if we’re not. For example, one of the biggest diseases in the church today is exhaustion. We, as God’s people, have run and worked and volunteered and given until we are wiped out emotionally, physically, mentally, and sometimes spiritually. Now think just for a moment. Does that sound like a life where mercy rains or reigns? Do you really think Christ suffered and died to take away our sin only to sit back and watch us exist in a hell of exhaustion and overwhelm in our daily lives? That makes no sense. He died to set us free to LIVE. In a movie I watched recently, the main character made a deadly mistake. It cost the lives of several people, including the woman he loved. Because of the guilt of that mistake, he is driven to give a second chance to several people before he punishes himself with death, but even in the giving, he is punishing himself for the mistake. He has abandoned all hope, seeing only the mistake, his role in the deaths, and the hopelessness of never being able to make it right again. Although they call the movie uplifting, it is anything but. It is tragic. This man lives in a world that can never be anything other than horrific, horrible, and catastrophic. Nothing he does or can do could ever make up for that one moment when he wasn’t perfectly perfect. That’s where too many people live today. They do not understand that even the most vial things can be forgiven and they can LIVE again. They can choose to come to the cross, lay their burdens down, and let God’s healing mercy come running into their lives. He can do it for yours as well. And the Good News doesn’t stop there. Just when you think this story could get no worse, it does. It is bad enough that we have all sinned and fallen short of God’s Kingdom, but add to this God’s perfect justice, and fear becomes the only logical outcome. God’s wrath is real. So is His justice. God has no place for evil or for sin in His Kingdom. In fact, He hates what evil and sin does to His people—to you and to me. His justice is perfect. That’s where the eye for an eye thing comes in. God’s justice says, “If you do this to someone else, you will be repaid likewise.” So if you steal from, you will be stolen from. If you lie to, you will be lied to. If you kill, you will die. Think for just a moment about the connection between death and the world. In the world, this law is operational. You will get what you give out. If you give out horror and hate, you will get it back pressed down and shaken together. Look for example at the gangs and the mob. Reciprocity is the rule, not the exception. You kill one of our gang members, we will kill one of yours—or two of yours, which ups the stakes and in retaliation you kill three of ours. Worse, lives are not equal. So they may come after our gang to kill one in retaliation for one we killed of theirs. If they kill one I only sparsely know, I might be willing to kill just one of theirs in return, but if they kill my sister, that retaliation will be bloody and brutal, which of course will result in a greater retaliation from them. In God’s justice, you will pay for what you have done. His justice is perfect. Although it does not ramp up like a gang’s, He will require your life if you are less than perfect. The wages of sin is death. It is not so much that God is mean as that He is perfectly fair. What you have given out, you will get back. And one sin wipes out any and all good you have done because one sin is enough to keep you out of Heaven. Let’s be clear. God’s justice is no laughing matter for those who choose to go it alone. It will be reckoned with at some point. One of the really neat things about the Internet is that you meet a lot of people who you would never have met otherwise. One of the really uncool things about the Internet is that you don’t really meet people you would really like to meet. If that sounds a little like a contradiction, welcome to the Internet. I have to admit, as a chronologically mature man, technology is hard to keep up with. My wife thinks it’s passed her by; I refuse to accept that. However, I have to admit that I am straining to keep up with it. I had just become almost familiar with email and instant messaging when I heard about web pages, blogs, social networking. Then there’s texting. If it weren’t for texting, apps and all those other things, a lot of phone companies would be in serious trouble, driving Chevrolets or worse yet Chrysler products. What’s that thing hanging on your kitchen wall for anyway? It’s a what? A telephone? How could that be? You can’t hang it on your belt, access your email or order pizza with it, and it certainly won’t give you directions or show you the way to the closest beach from here. So what good is it? You talk on it? What is talking for anyway? That kind of conversation isn’t that far off, and perhaps it has already been held in a lot of circles, mainly younger ones than I hang out with. Still, it reemphasizes something I learned early on when computers became desk top essentials in every business. Computers may be a great way to transfer massive amounts of data to an unlimited number of people simultaneously, but they are still a lousy way to communicate. I won’t even talk about the cyber predators that use the internet to trick unsuspecting young girls into meeting with them. That is another set of issues altogether. What I am talking about is something every person who works in business knows even if they won’t admit it. There is still no really good substitute for looking somebody in the eye, shaking their hand and talking face to face in person. Even teleconferences don’t replace that kind of personal encounter where you can see body language, watch facial expressions and actually touch somebody who is in the same room with you if it’s only to shake their hand. Anything other than that is just not the same. happened, and now I know, He touched me and made me whole. I guess the simple point I am trying to make here is this: Technology is amazing, helpful and even fun, but there is no substitute for sitting in the same room with the real, live Jesus and letting him touch you and make you whole. He has done that so many times with so many people, and He can and will do it again for you and me too. You are currently browsing the Spiritlightbooks blog archives for June, 2009.